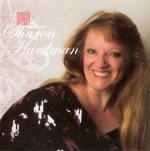 Sharon's newest CD project "The Best of Sharon Hardman" is now available for sale. Don't forget to sign the Guest Book while visiting! NOTE: YOU MUST HAVE THE FREE REALPLAYER INSTALLED ON YOUR COMPUTER IN ORDER TO LISTEN TO SHARON'S MUSIC ONLINE. THE BEST OF SHARON HARDMAN NEW! PLACE YOUR ORDER ONLINE NOW USING YOUR CREDIT CARD - IT'S SAFE & SECURE! I look unto these hills from whence comes my strength,my strength is in the LORD. WEBSITE COPYRIGHT ©2001- SHARON HARDMAN MINISTRIES. ALL RIGHTS RESERVED.